Nowadays, nearly everyone has access to the Internet. Even children can easily access all sorts of websites. However, the Internet is not 100% safe and is a brooding ground for all kinds of dangers. Here are some of the dangers of the Internet that you should watch out for in order to stay safe. Anyone can cyberbully anytime and anywhere. Similarly, you can also be bullied anytime and anywhere. 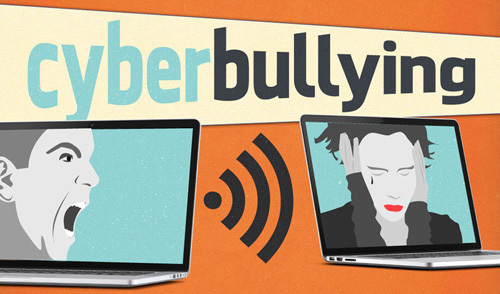 Cyberbullying in some ways is actually more dangerous than bullying because cyberbullying can be done without the physical presence of the bully. It’s easy to spend hours on the Internet. However, spending hours on the Internet may rob you of your time to do other things that are more productive. You may also find yourself making unnecessary purchases as well as surfing websites that won’t necessarily benefit you in the long run. Spam isn’t necessarily harmful or dangerous. However, it might have attachments that contain viruses or other malicious software. Not only is piracy illegal, it is also bad for the economy. The Internet makes it easy for anyone to download or copy material illegally. Many people on the Internet pretend to be someone they are not. They might trick you into stealing money from you and might seem to be real even when they are not. There are many ways in which someone may steal your identity. You might be caught by a scam and unknowingly provide your banking details to criminals who might use them to buy things for themselves. There are software that record your keystrokes and save information that you enter. Your identity can also be stolen this way. Photos that you post on social media can also be easily stolen and used somewhere else for malicious reasons.